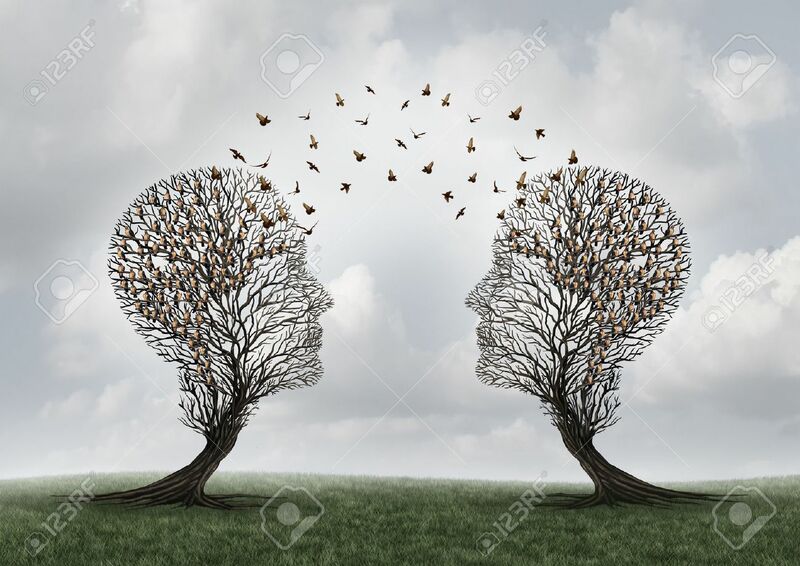 Concept Of Communication And Communicating A Message Between Two Head Shaped Trees With Birds Perched And Flying To Each Other As A Metaphor For Teamwork And Business Or Personal Relationship With 3D Illustration Elements. Foto Royalty Free, Gravuras, Imagens E Banco De Fotografias. Image 55630139. Banco de Imagens - Concept of communication and communicating a message between two head shaped trees with birds perched and flying to each other as a metaphor for teamwork and business or personal relationship with 3D illustration elements.